I’ve been go-karting for recreational purposes since I was a boy. As you can see, my love for go-karting has gone from a favorite past time to a profession. We want the best for our audience and hope that the people reading this blog understand what our company is all about. 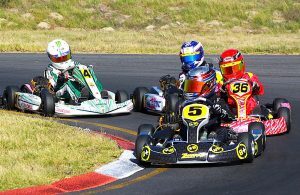 For several years, our company has specialized in everything that has to do with karting. From go-kart entertainment for the family, to expert kart racing, we have all the answers. I don’t mean to sound overly confident because our answers don’t come from text books or youtube videos. We’ve acquired everything that we know from experience. We’ve made every mistake so you don’t have to. I’ve had part ownership in companies who have built kart tracks, and supplied other companies with kart parts and maintenance. We hope to be able to expand our online presence especially for those of our readers who are interested in the genre but not apart of our local audience. I have given the last 5 years of my life to figuring out how to appeal to this market online. I have to tell you as a person who has owned more businesses, maintaining an online presence for your company, isn’t easy. Because I know how hard it can be, I will giving advice and updates for those who would like to do the same. Because I’ve raced as we’ll, I’ll also be doing some instructional blogs with DIY information. Giving advice for our racer audience who want to take their driving skills to another level, is something I’m very passionate about. From our blogs, you can learn about engine noises, or even how to smoothly take to the tracks while maintaining a certain speed. This requires skills that take practice. Hopefully we will have something to do with your improvement.